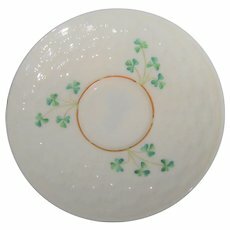 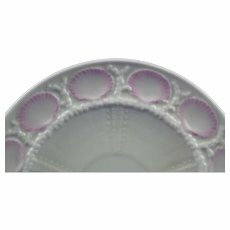 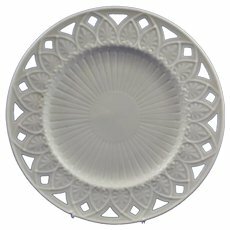 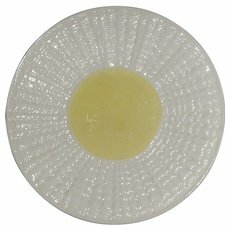 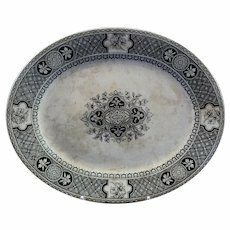 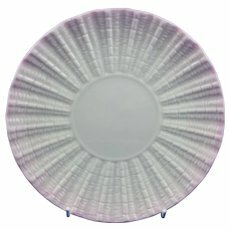 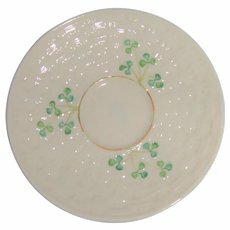 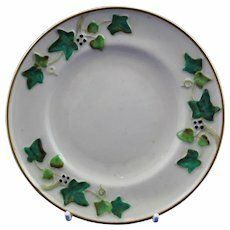 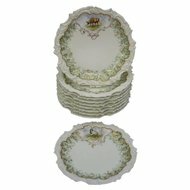 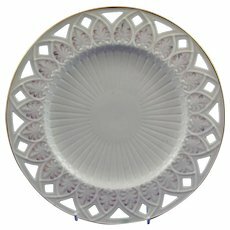 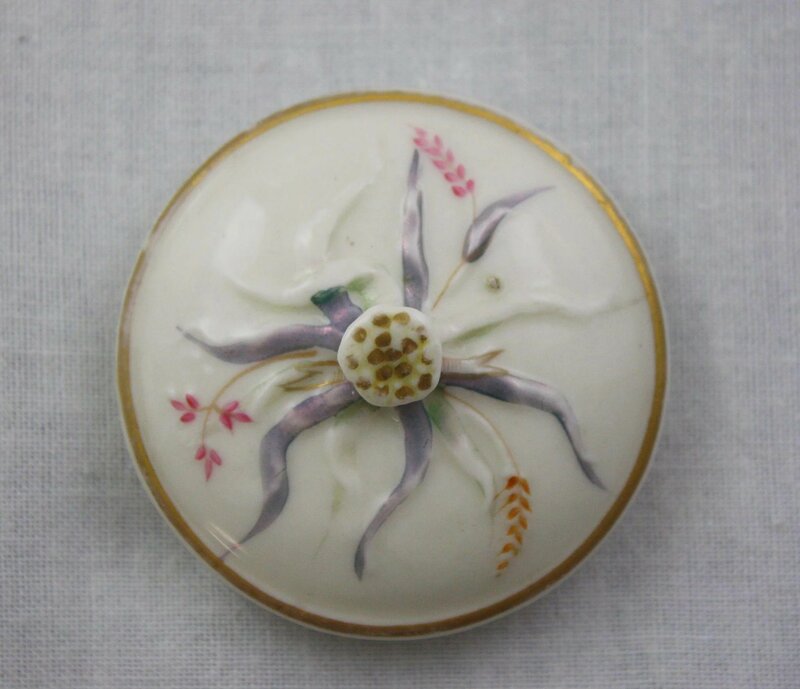 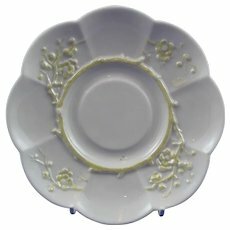 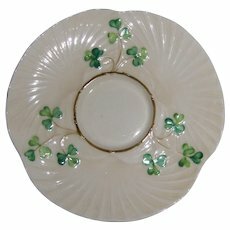 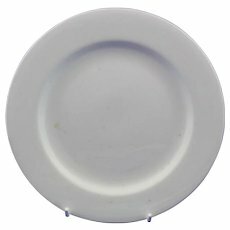 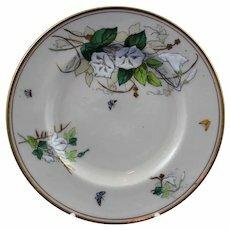 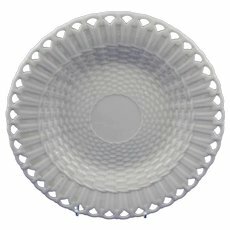 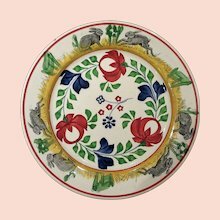 Belleek 1st Period 6 inch Belleek Convulvous Ring Handled Plate. 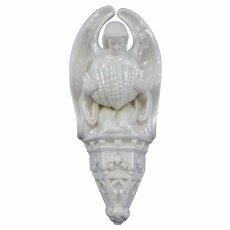 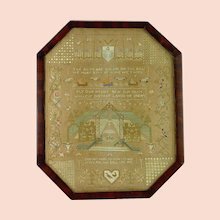 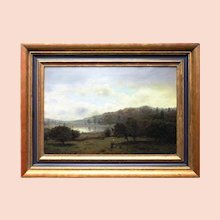 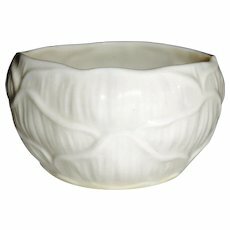 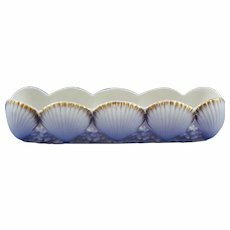 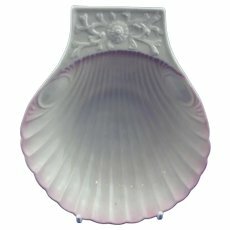 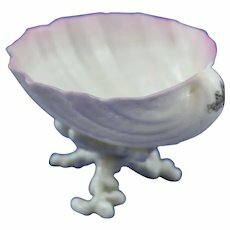 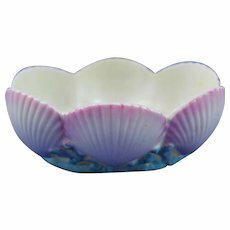 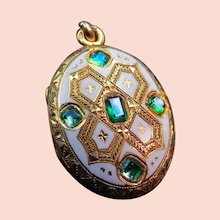 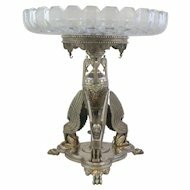 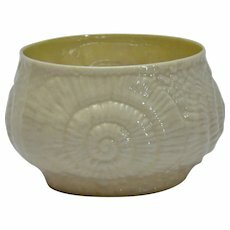 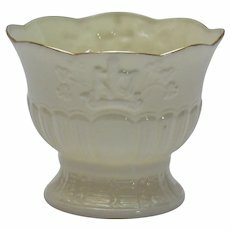 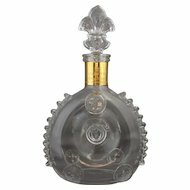 Belleek 1st Period Gilded Shell Through - Pretty Rare. 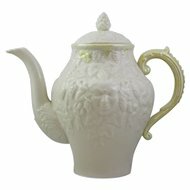 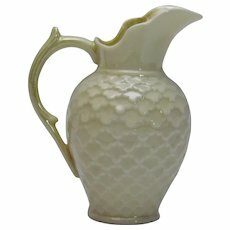 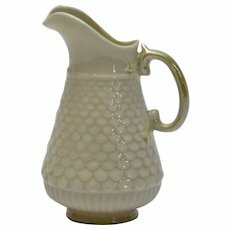 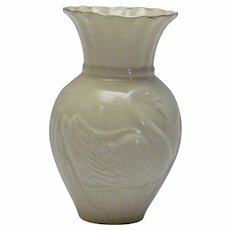 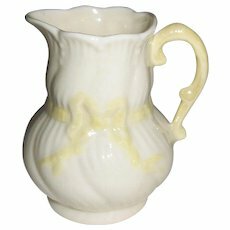 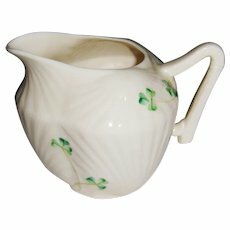 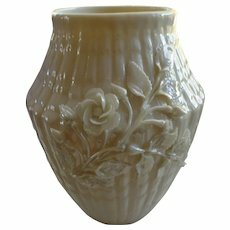 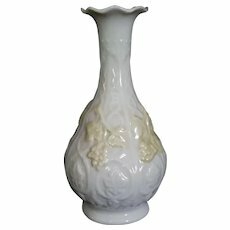 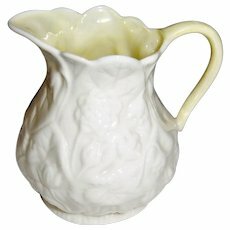 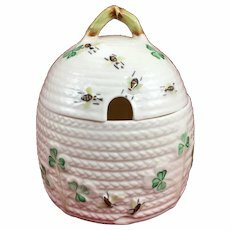 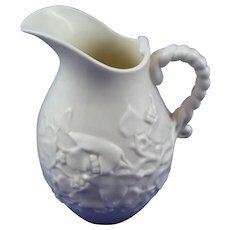 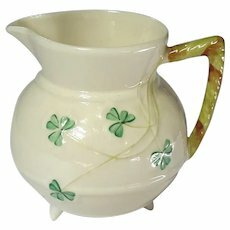 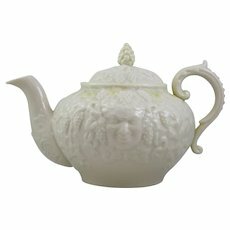 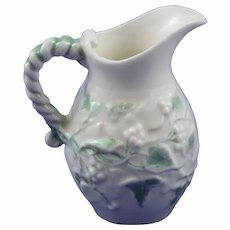 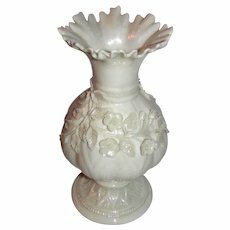 Large 1st Period Belleek (1863-1891) Ivy Jug in Mint Condition. 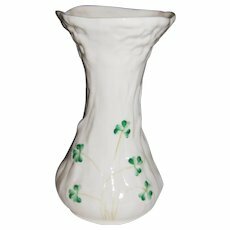 Antique Belleek Ribbon Vase Third Black Mark Perfect! 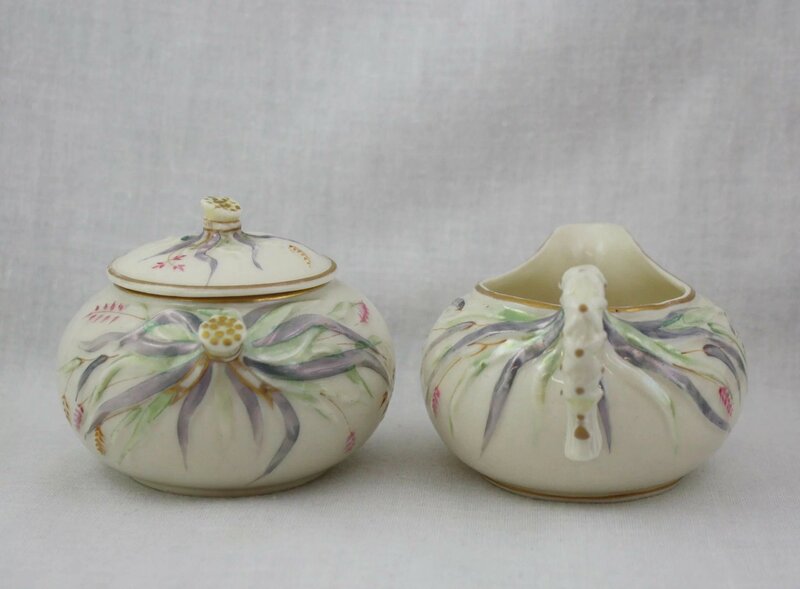 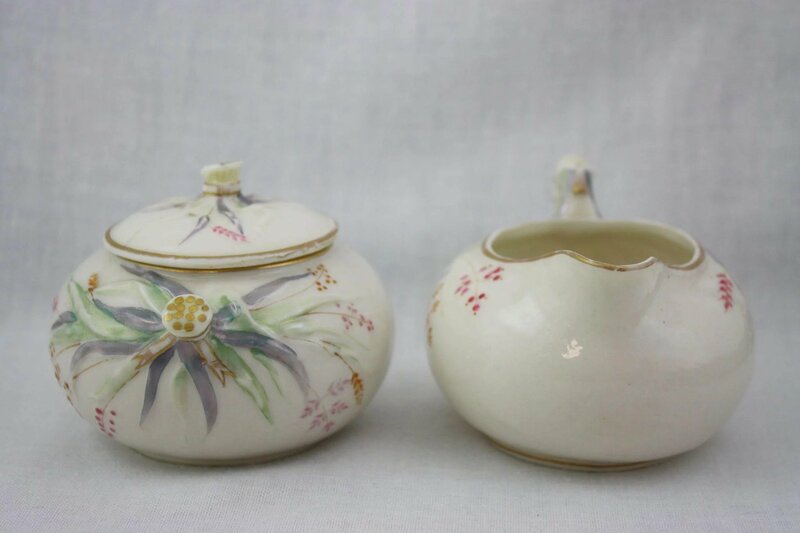 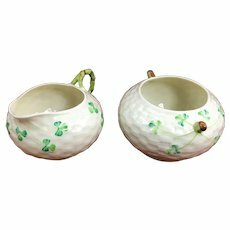 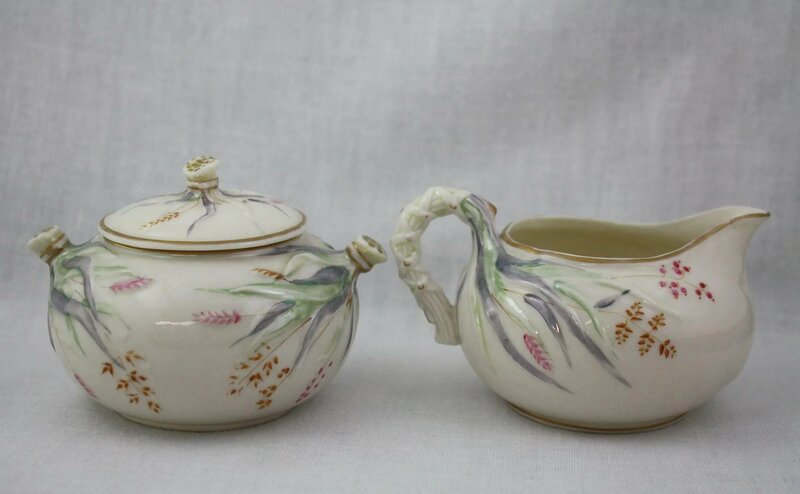 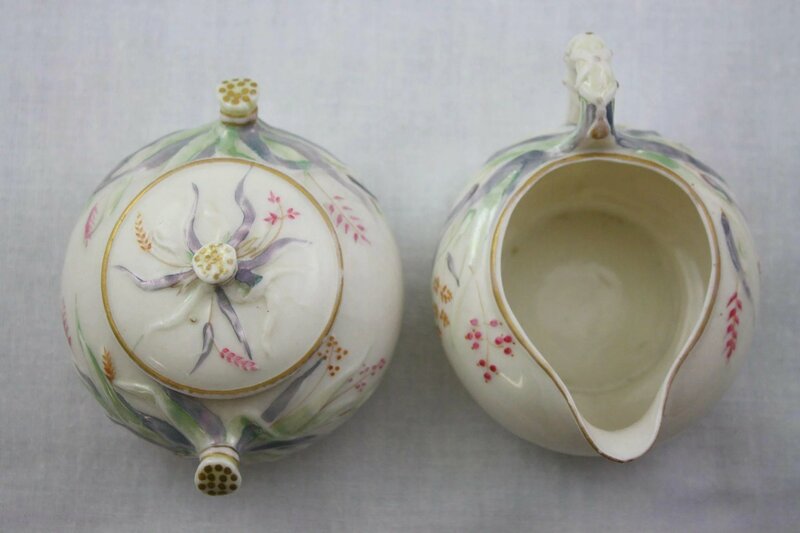 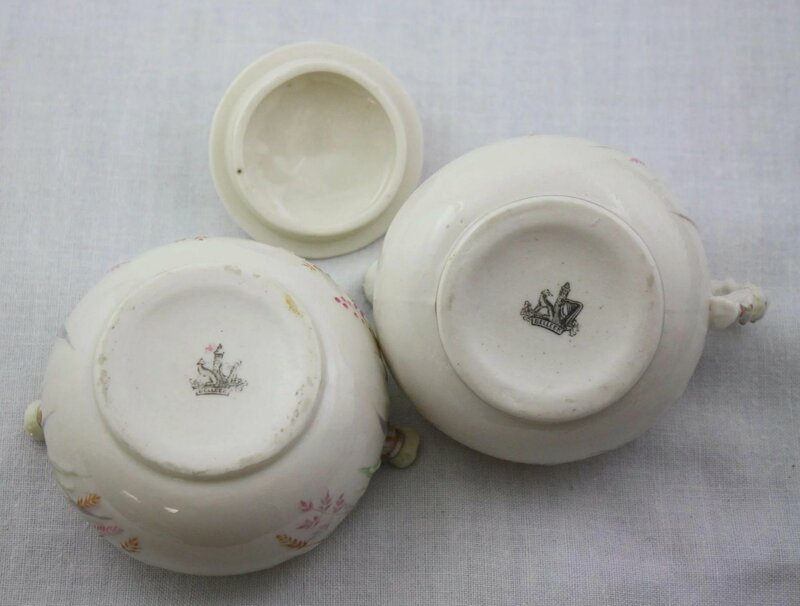 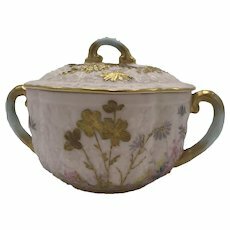 For sale is this antique Belleek creamer and lidded sugar bowl set in the Grass pattern with the first black mark (1863-1891). 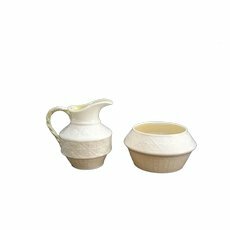 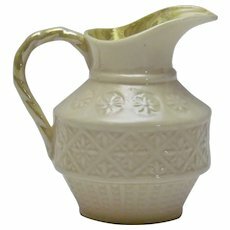 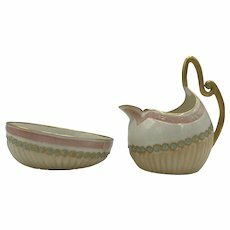 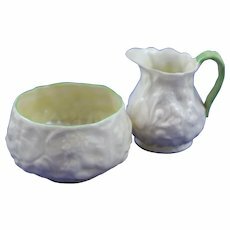 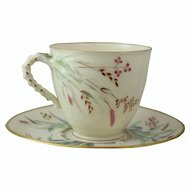 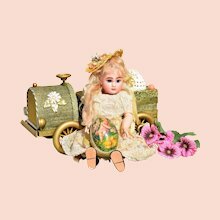 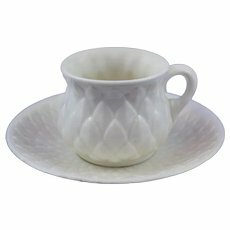 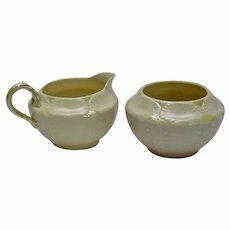 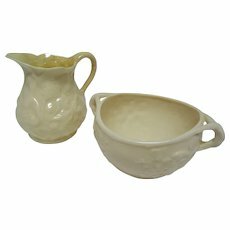 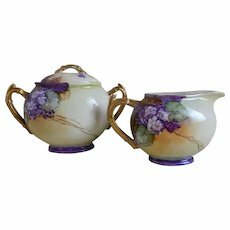 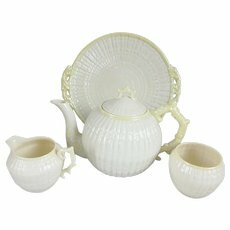 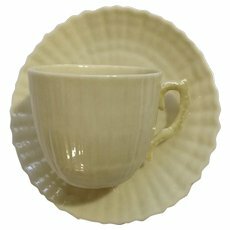 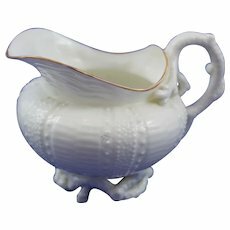 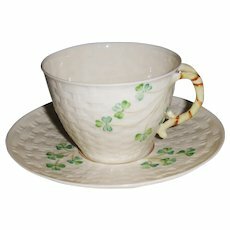 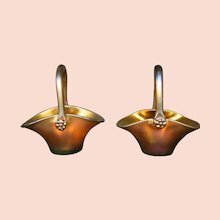 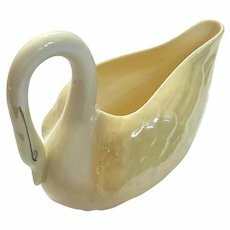 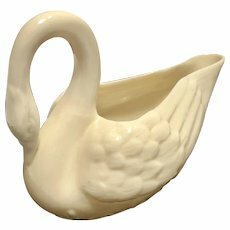 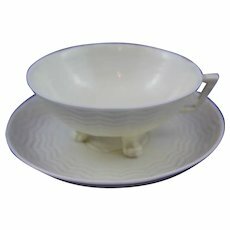 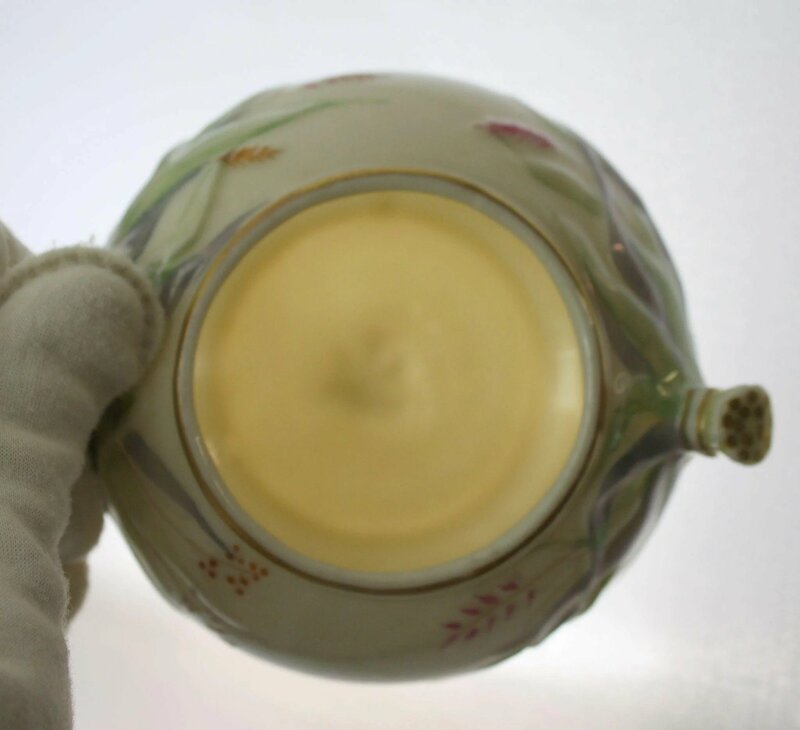 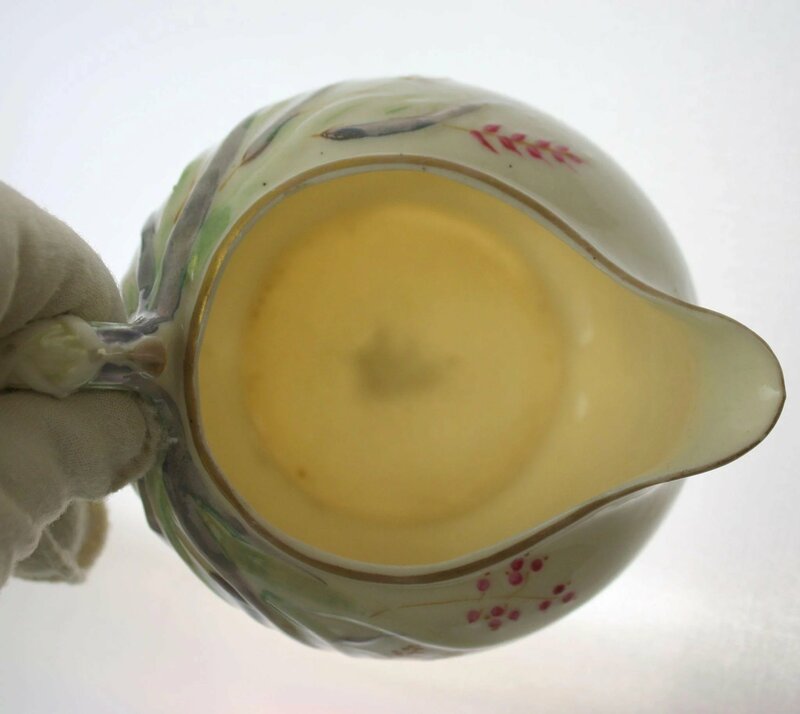 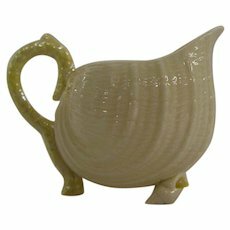 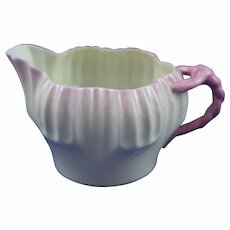 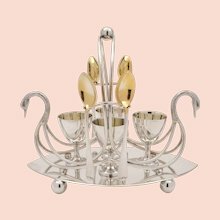 The creamer measures approximately 4 1/4" long from spout to handle and the sugar bowl measures 4 1/8" long from handle to handle and 2 7/8" tall. 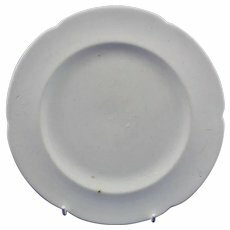 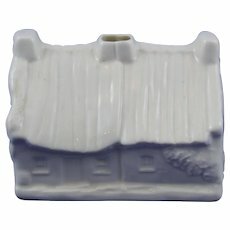 These have no chips or cracks, but there is some wear to the paint.